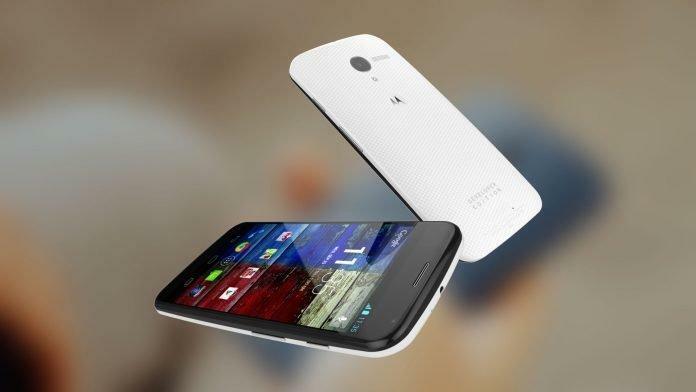 The Moto X, introduced by Motorola, A google Company comes with Quad core Adreno 320 Gpu, which is a part of Qualcomm Snapdragon MSM8960DT System on Chip. Actually Moto X comes with a sort of custom eight-core system-on-a-chip (SoC) has actually turned out to be a Qualcomm Snapdragon chip married to what are apparently separate “contextual computing processor” and “natural language processor” units. What those two extra units do is still a bit mysterious, and it’s something we hope to figure out as we spend more time with the phone. 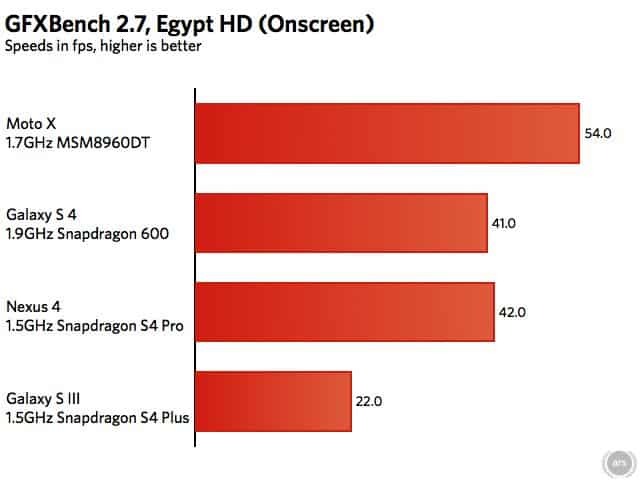 In the meantime, we thought we’d take a quick look at the Qualcomm Snapdragon chip that will be driving most of the action here (part number MSM8960DT, according to CPU-Z), since it’s a configuration we haven’t seen before: it takes the Adreno 320 GPU from the quad-core Snapdragon S4 and Snapdragon 600s that we’ve been seeing in high-end Android phones since late last year, and marries it to a dual-core CPU more similar to the Snapdragon S4 Plus and Snapdragon 400 chips. To test the GPU, we turn to the GFXBench 2.7 test. For the uninitiated, there are two different versions of this test: the “onscreen” test that runs at the phone’s native display resolution and the “offscreen” test that renders all scenes at 1080p regardless of the phone’s resolution. 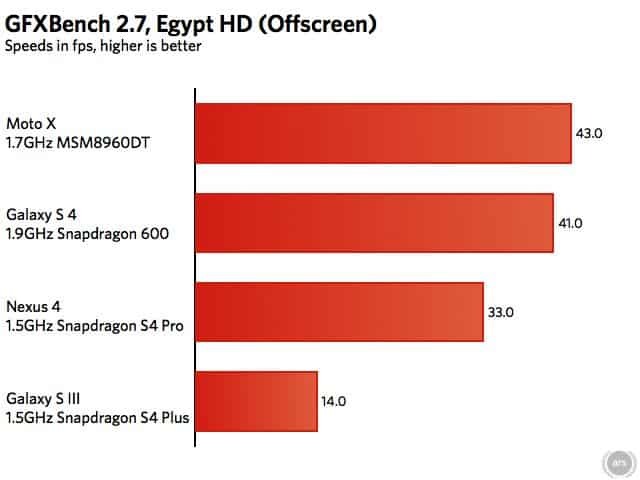 The offscreen tests are good for measuring the raw horsepower of a particular GPU, while the onscreen tests are more representative of what you can expect when running actual games on the phone. For better understanding of the performance, we compared Moto X with Galaxy s4, Nexus 4 and Galaxy S3. Moto X and Galaxy S 4 are running Android 4.2.2. Galaxy S III is running Android 4.1.1. Nexus 4 is running Android 4.3. That being said, this is just the first charge in Motorola’s latest attempt to reinvent itself, and neither the specs nor a few hours of hands-on time are enough to paint an entire picture. Everything from the amount of buzz the phone has seen in the Android enthusiast press to the ad budget that Google and Motorola ultimately decide to dedicate to the device can be a factor in its success. Google and Motorola don’t need to deliver a knockout blow to Samsung or Apple or anyone else with the Moto X—first, they just need to stem the bleeding.